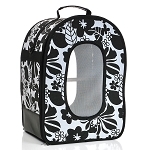 Perfect travel cage for short trips. 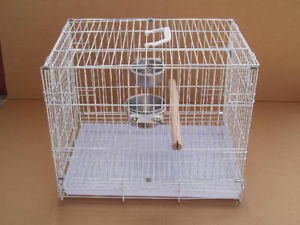 20" deep x 12.5" wide x 16" tallComes with perch & 2 feeder cups. Joe was kind enough to email me a full description before sending. I thought the item was a little pricey but still, the quality is good, I am very happy with the shipping/delivery, and most importantly, the birds like it. 54 points will be rewarded to you when you buy this item. Copyright The Birdsafe Store. All Rights Reserved. eCommerce Software by 3dcart.